Beer is produced in Serbia for almost three centuries. Initially fermented for home use, then, regarding of development of trade became a way of payment. Today above all, beer is a cause for celebration, gathering and casual socializing. Beer in Serbia began to be consumed in the 15th century, during the reign of Despot Stefan Lazarevic. Represented a new beverage, firstly consumed by northern neighbors. As beer become popular very quickly, many households started to produce homemade beer, also as taverns (Serbian: Kafana), and even the residences of the rulers. During the Austrian occupation of Belgrade from 1718. to 1739., brewing grew from local handicraft to bigger production. First small breweries were at Dorcol (municipality of Belgrade), established by Austrian immigrants and entrepreneurs. And that is a short history of Beer in Belgrade. 19th century was a milestone for brewing development, and for development of the beer industry itself. Prince Milos Obrenovic, who was at that time showed a great interest in brewing, build a new large brewery – “Prince’s brewery”, which later played a significant role in the cultural and political events.Back in that time, the first theatrical performances were held here. Still, the industrial production of beer began in 1872, when the industrialist Djordje Weifert built a contemporary and modern brewery on a hill outside of town called Smutekovac, and in 1884, the production process included steam engine. Thus, Belgrade got the first steam-powered brewery. Then, across Serbia, breweries just started to pop up one after another: in Jagodina (1852. ), Cacak (1852), Valjevo (1860.) Aleksinac (1865. ), etc. Those milestones are just a top of the iceberg when we speak about beer in Serbia. There are even 2 festivals dedicated to this popular beverage, Beer Days in Zrenjanin and Beer Fest in Belgrade. According to the average European standard, Serbia is among cheapest countries when it comes to food and beverage products. Clubs and bars prices are little bit higher, domestic beer is between 200-250 dinars (1.6-2 euros), and imported beer is between 250 – 300 dinars (2-2.5 euros). Where to find the best Belgrade Craft beer? 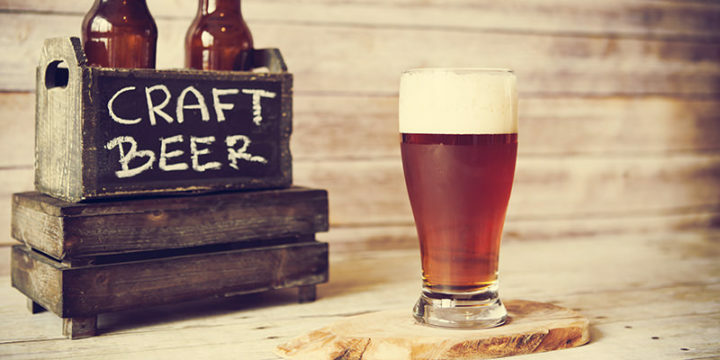 In the era of mass industries, finding a good craft beer sounds like a myth. But, when you are in Belgrade, it’s like you founded a gold mine! We made a short list of some of the best bars where you can find a pretty good selection when it comes to craft beer. 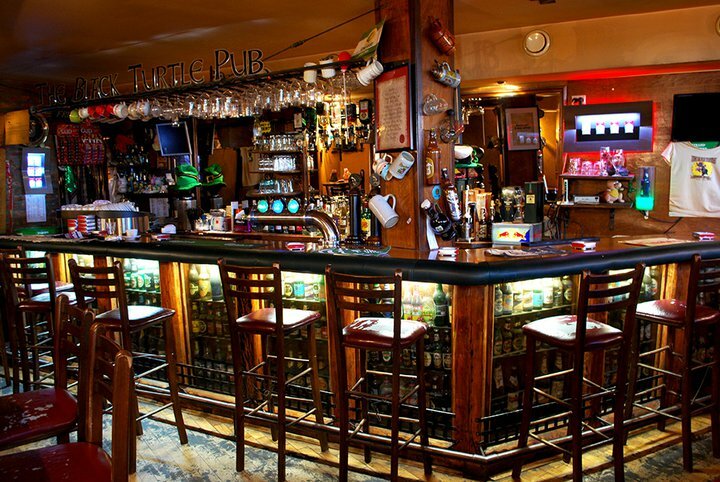 One of the most famous craft beer pubs, The Black Turtle is not just a place where you can grab a beer, they are also producing their own. They brew two traditional standards, Pils and Stout, but they have created a niche in fruit flavored beers. They made a brand, and spread across the city, and their bars can be found at four locations. Literal translation of Samo Pivo is ‘Just Beer’ – says it all. One of the most popular pubs among the locals and tourists as well. With 20 craft beers on tap, Serbian and worldwide, Samo Pivo clearly demonstrates that, yes, they are all about beer. And craft beer of course. Samo Pivo is located in the city center,in an intimate space, with unpretentious but originally designed interior, which is perfect for enjoying your favorite beers. Founded by passionate beer drinkers and now even a professional brewers, Miners Pub in its fourth year of existence provides a lot of enjoyment to regular and new guests as well . With 15 beer taps, the focus is on the local craft beers, and just few exquisite represents from abroad. Located in the center of the city, in a cozy venue with relaxed atmosphere. Krafter, as the name says, they are specialists and they only serve craft beers. Beer bar KRAFTER is dedicated to the never ending search for the perfect craft beer . Careful selection of draft and bottled favorites is rotated according to the season and current trends of beer. The most famous brewery of Craft beer in Belgrade is definitely Kabinet. Kabinet Brewery was born from the idea of producing unfiltered and unpasteurized craft beer from quality ingredients. Final product is a beer full of flavor in which are preserved all the nutrients obtained by the production process. In their offer you can find 12 very interesting beers. In Belgrade you can find many micro breweries, and you can’t go wrong with any of them! FREE TIP: VRH PIVO is one of the best local craft beers (humble opinion of author), and you can only find it in just a few pubs in town! Whats app us to find out where to find VRH Pivo , and where to party hard in Belgrade.